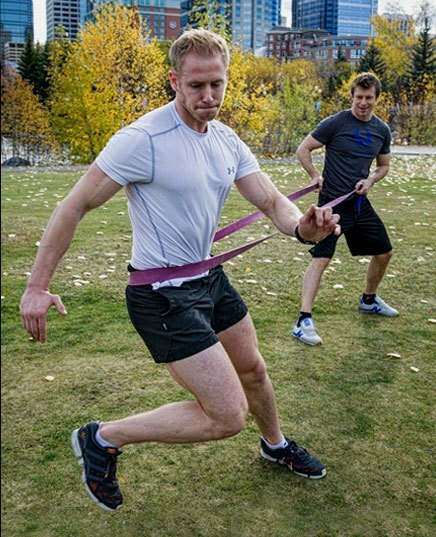 Devoting time to the strength and conditioning process is singularly a must for any sports specific training Calgary athletes, to optimize their performance and also reach levels beyond expectations. For instance through my years of experience I have worked with many competitive athletes from several different backgrounds, including football/soccer, rugby, tennis, cricket, MMA, golf, rock climbing, ice/field hockey, swimming, volleyball, skiing/snowboarding, and more. Working together with athletes in both individual and team settings I have progressed their knowledge in understanding their body and work ethic in addition to the performance needed to succeed in reaching their short and long term goals, This coupled with clients improvements on the field has resulted in great satisfaction from everybody involved. To summaries sports training & performance is basically fitness training which is specifically designed to enhance athletes at their given sport. However, the goal of sports training differs compared to traditional training in this case. Besides, traditional personal training is aimed to improve overall fitness & well being, for the most part sports strength and conditioning is designed generally to enhance performance in competitions and the athletes chosen sport. Furthermore – Sports competitors have to diversify their fitness routines accordingly incorporating, strength, power, endurance, flexibility, agility and sports nutrition in brief. An effective strength & conditioning program will increase gains in components such as, speed, strength, quickness, mobility and agility for example. Otherwise without a focus on above fitness elements, a client/athlete may come second best instead of first. As a general rule of thumb, an important factor here to consider is the emphasis on injury prevention. Using periodization training methods especially in relation to on season, off season timing in particular. Lastly – As an example, i would adjust the volumes and intensities to suite that specific time of the season, Also, usually i regularly modify training on days close to competition or games, to lower the risks of unwanted soreness.